That’s according to PwC, which recently released its latest annual Aussie Mine report. The firm also highlights significant 2018 deals. As part of its 12th annual Aussie Mine report, PricewaterhouseCoopers (PWC) shares insight on some of the biggest mergers and acquisitions (M&A) of 2018, along with which commodities have the most M&A promise going into 2019. PwC highlights companies from its mid-tier 50 (MT50) list that saw significant deals over the last year, saying there has been a “shift” from the previous year, during which many firms sold non-core assets. The MT50 consists of the largest ASX mining companies that had market capitalizations of less than $5 billion as of June 30, 2018, with the largest one being Iluka Resources (ASX:ILU). While this year’s MT50 completed 21 deals as opposed to 2017’s 15 deals, showing a boost in volume, the average value of the deals dropped to $125 million from 2017’s $405 million. Some of the biggest deals from the MT50 list came from OZ Minerals (ASX:OZL) through its $425-million acquisition of Avanco Resources, Galaxy Resources (ASX:GXY) by entering a $373-million deal with POSCO for Argentinian lithium tenements, and Northern Star Resources (ASX:NST) by acquiring Sumitomo Metal Mining’s Pogo gold project in Alaska. Gold was a strong contender in the M&A scene for 2018’s list, with four acquisitions between Northern Star and Ramelius Resources (ASX:RMS) and a sale by Saracen (ASX:SAR) — iron ore also made waves with four deals, two of which were sales by Atlas Iron. In the case of lithium, PwC highlights increasing demand for the commodity underpinned by interest in electric vehicles; it says it expects momentum to continue as offshore companies opt to lock down high-quality resources, and local companies hunt for partners to achieve capital and offtake agreements. 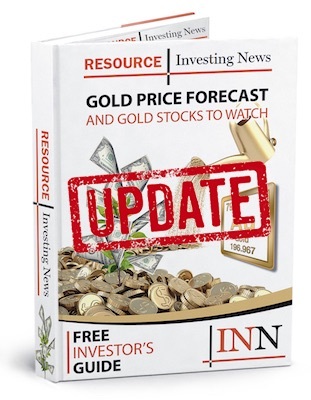 As for base metals, specifically copper, the report indicates that demand will continue as prices remain strong, noting the number of copper deals made in 2018. It also highlights OZ Minerals’ acquisition of the Antas copper-gold mine and New Century Resources’ (ASX:NCZ) acquisition of the Century mine rehabilitation project.